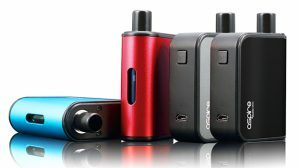 The Best of 2015 event held here on GuideToVaping.com has been underway for five consecutive years, and with each new year comes some highly interesting results. 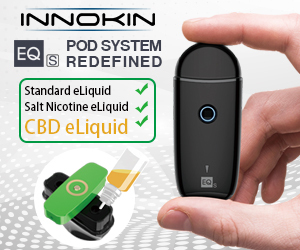 Though many have been able to slip under the caution tape that divides real versus fake, it’s still quite apparent how the vaping community feels, what has interested them the most, and ultimately, where their votes finally landed. 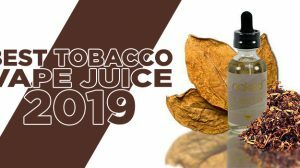 These polls can give huge insight into what customers are looking for and who is going above and beyond within the vaping community, and no matter how many of you disagree with it, there’s a clear picture into the impact that one forum has made on all of us. Vaping Underground began as a forum that was looked at as a sanctuary for the beaten, battered, and those tired of being conbobulated with a rule set preventing them from free speech. It was a place with open doors, taking on the misfits, the disgruntled, and those simply looking for somewhere to voice. 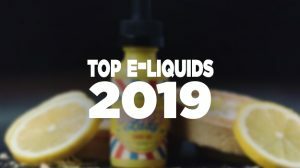 The forum quickly took off, gained quite the immense following, and for the second year in a row has won 1st place during GuideToVaping’s Best of event, being crowned this year with The Best of 2015. Now, there may be many of you wondering exactly how this Underground can dominate the polls effortlessly, and I too was filled with concern a couple of years back. In fact, there are many sources being voted on during these events that concerned me, making me feel as if they’re skewing the system, but let me fill you in on something… your portion of the vaping community is merely a speck of what exists. Last year during the Best of 2014 event, I wondered how Dr. Crimmy’s received so many votes, being that I’ve never even heard of the company. I wondered how this year Giant Vapes could gain the amount of votes that they did. But, let me be the first to tell you, just because you haven’t heard of them, doesn’t mean they’re not a force to be reckoned with. It took me actually visiting places like Vaping Underground, Mod Envy, Giant Vapes and others to understand quite how huge that sector of the community was. Giant Vapes alone has a Facebook group that is over 20,000 strong, and we don’t even want to get into the numbers that backs Vaping Underground. My point here is, for whoever is reading this, the Vaping Underground won the Best of 2015 because that is what the vaping community voted on. With that being said, Vaping Underground we thank you for your participation during GuideToVaping’s Best of 2015 event and we congratulate you on your winning! 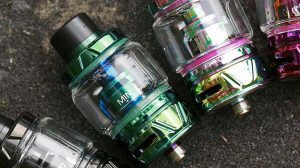 If any of you are interested in the forum, feel free to visit Vaping Underground here. Thanks, Blake! We’re honored to be so highly recognized again this year, and it has been a thrill to see that so many vapers have seen, understood and embraced the vision we had for the Vaping Underground Forum. On behalf of the admins and moderating team, we thank you and the community at large for all the support, encouragement, and especially engagement we see daily that has made the Forum the vibrant, busy community it has become. We will continue to make every effort to keep it informative, enjoyable, and especially a place where vapers from every corner of vaping can find value and speak their minds. Here’s to 2016! Glad we (The Vaping Underground) won for the second year in a row. Freedom of speech will prevail every time! Loved the write up and VERY proud to be both a member and part of staff at Vaping Underground. The community is the strongest thing out there dealing with everything vaping. Thanks again Blake for a great write up, Well done! It has been a pleasure to be a part of Vaping Underground. I selected to be a part of Vaping Underground and I am glad that I did. Vaping Underground is a community that has people from all walks of life and truly have a community that helps eachother in more ways that could be imagined. If you have wondered if you should sign up and make an account and find out for yourself what makes Vaping Underground the community that is the best of the best, I recommend you stop wondering and just go ahead and sign up and find out for yourself. Thank you Vaping Underground for all the help and support that you offer and I am honored to be a member.